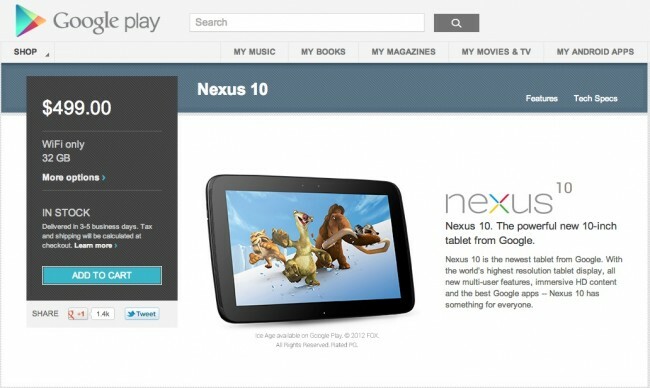 The 32GB version of the Samsung Nexus 10 is back in stock at the Google Play store. After having sold out on launch day, last week, you may want to hurry on over and grab one. The 16GB version is in stock as well, but for $100 more, you get double the storage. Up to you to decide if it’s worth it.